Fill out the information below to calculate your Heat Tape needs. What type of clips will you be using? How many feet away is the power source? 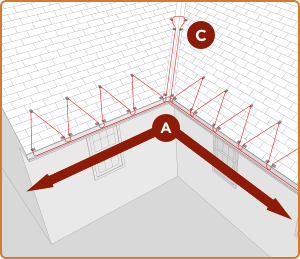 If you can think of circumstances that would require additional roof clips, add them here. Do you want to Email Yourself this Info? 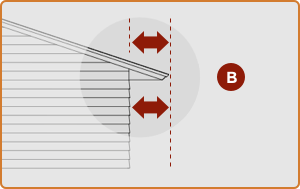 The Distance to Power Connection and Misc Distance for Special Situations does not add additional roof clips to your calculation. If you need additional roof clips for your configuration that are beyond the main eave-zig-zag and valley considerations, make sure you add additional misc clips. If your “Distance to Power Connection” is longer then 15 Feet, you may want to consider our new HeatTape Pro XL line of heat tape that includes an extra long cold lead on our industry-leading HeatTape Pro. If you choose to use Heat Tape Pro XL, add only the distance to power connection that is surplus of 50 feet (so, if you are 65 feet away, put 15 for this).